Dec. 3rd from 12 PM untill 3.3PM Kululam in Tamar Ariel Shapira school. Dec.4th and Dec 5th from 4:30 PM untill 7:30 PM Mobile Hannukah parties. 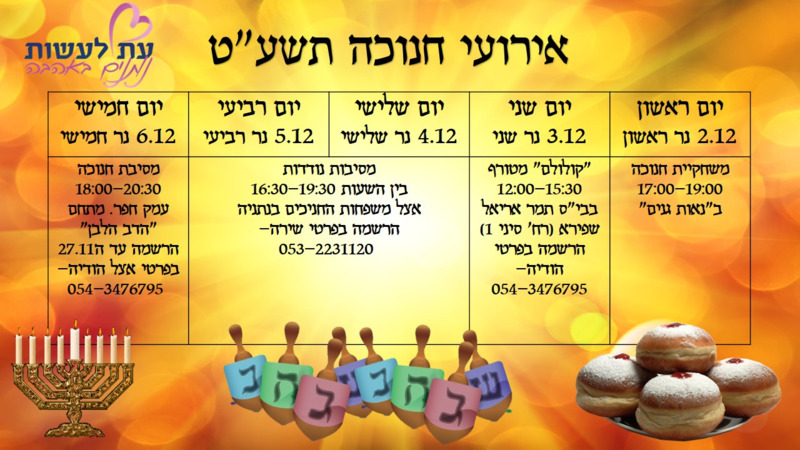 Dec. 6th from 6PM untill 8:30 PM Hannukah party at HaDov HaLavan in Emek Hefer.